The excitement continues to build ahead of the 2018 FIFA World Cup in Russia and as always, high hopes and strong expectations of a nation surround the England camp, despite the national team not having lifted the trophy since 1966. Gareth Southgate has chosen a 23-man squad that raised a few eyebrows when it was named, including several players with less than ten international caps and two who hadn’t debuted when the squad was announced. Nevertheless, the Three Lions boss has built on strong tactical foundations which served him well throughout World Cup qualification. England were comfortable winners of UEFA Group F, which not only featured classic confrontations with old rivals, Scotland, but also plenty of potential banana skins in the shape of tricky east European sides like Slovakia, Slovenia and Lithuania, plus the eventual whipping boys of the group, Malta. The Three Lions were quite average in the scoring department, but with the joint-best defensive record in any of the UEFA groups, they were also one of only three European teams to remain unbeaten throughout qualification, with 8 wins and 2 draws from 10 matches. England might not be the most thrilling to watch, but there is an air of reliability to Southgate’s side that will compete at the World Cup this summer. It’s often said that goals win games, which is very true, but keeping a tight lock on things at the back will be equally important for England. For those keen to wager on World Cup matches featuring the Three Lions, keeping a close eye on the under or over 2.5 goals tips provided by FootballTips will be worthwhile. Southgate’s side can often be difficult to predict in that particular betting market, as their results throughout qualification proved. During England’s unbeaten run to the World Cup, only 4 of their 10 qualifying matches produced over 2.5 goals, which indicates that the Group G matches in Russia might also be tightly contested encounters. Goals are expected to come against Tunisia and Panama in the opening two group games, but the third and final match against Belgium could be a close call, especially if a draw would serve the needs of both sides, who should qualify for the knockout stages with little fuss. Harry Kane will be carrying a hefty weight of expectation as the tip of England’s attacking lance. After scoring 30 Premier League goals last season, plus 7 in the Champions League and 4 in the FA Cup, such form makes him one of the favourites to top the scoring charts at the 2018 World Cup. 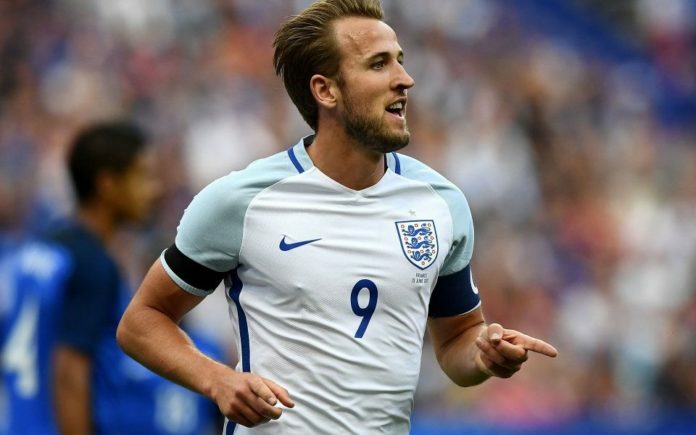 Boasting a very noteworthy 13 goals in 24 international appearances, Kane certainly has the numbers to suggest he can be relied upon to take his chances at the tournament in Russia. He will, of course, need plenty of support if England are to enjoy a successful tournament, but amongst the 23 players in Southgate’s squad, only Arsenal man Danny Welbeck has registered more than 10 international goals, with 15 from 38 appearances in the Three Lions shirt. The best of the rest are Jamie Vardy of Leicester City with 7 in 21 appearances, then Manchester United wing-back Ashley Young, with 7 international goals from 34 outings. Such numbers would suggest that England are unlikely to be one of the highest scoring teams at the World Cup, but so long as there’s enough defensive robustness and overall tactical stability from Southgate’s chosen ones, fans are unlikely to complain too much if the team can still produce victories; even if it’s only by the odd goal or two.